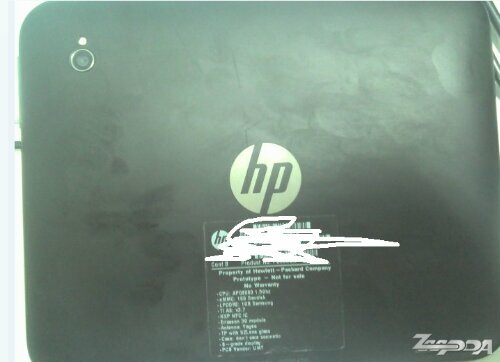 Even though there will be no HP 7 inch webOS tablets with the code-named Opal according to HP at least one person got a hold of one. Maybe there are more out there. Someone on the Chinese discussion forum ZooPDA (though it is unavailable now) got a prototype of the TouchPad Go. He claims to have got his hands on it about three months ago. The TouchPad Go features a 4:3 aspect ratio screen with a resolution of 1024 X 768 which is like the larger TouchPad. So Go has a higher PPI than the 10″ TouchPad. IT appears that Go has a soft-touch cover rather than a glossy back similar to the original TouchPad. With the TouchPad Go you get a dual-core, 1.5GHz Snapdragon processor with 16GB of storage. This is My Next is reporting that there may be an NFC module in the Go but it may just be the same sensor as in the TouchPad that enables Touch-to-Share features. The 7 inch TouchPad Go would have been a handy device had it been released. With a rear camera combined with webOS it would have given other 7 inch tablets on the market a run for their money. If sold at a competitive price it may have done well on the market but we will never know since HP is not going to release the TouchPad Go. Though if you are lucky maybe someone you know got their hands on one at the manufacturers and you can give it a try.